A humorous new game mode and a major graphical overhaul offer treats to returning fans of the original game, though subsequent evolutions of the Mario RPG series leave Superstar Saga feeling slightly old-fashioned. With solid gameplay at its core and Bowser’s Minions to lighten the mood, Mario & Luigi: Superstar Saga + Bowser’s Minions provides a nostalgic, if not exceedingly memorable, visit to one of the best games of the Game Boy Advance era. Superstar Saga is the real meat of Mario & Luigi: Superstar Saga + Bowser's Minions, and it's nothing but approachable, engaging, real fun and the addition of the wearisome Bowser's Minions doesn't take away from it. There's nothing new in Superstar Saga itself, but what's there is worth it. Just stay away from the Goombas. Even though Minion Quest falters, it's still an optional outing that doesn't detract from what's fundamentally an excellent adventure. Mario and Luigi: Superstar Saga has aged astonishingly well, and the various improvements offered in this remake only serve to make an already great game even better. Whether you're a series veteran or visiting the Beanbean Kingdom for the very first time, there's no better way to experience this classic RPG. My time with Superstar Saga has been a joy – filled with hearty laughs and exciting boss encounters. Even though I can’t say whether it’s a remake worth revisiting to those who finished the original back on the GBA, I can say with confidence that those who missed it the first time around are in certainly in for a good time. 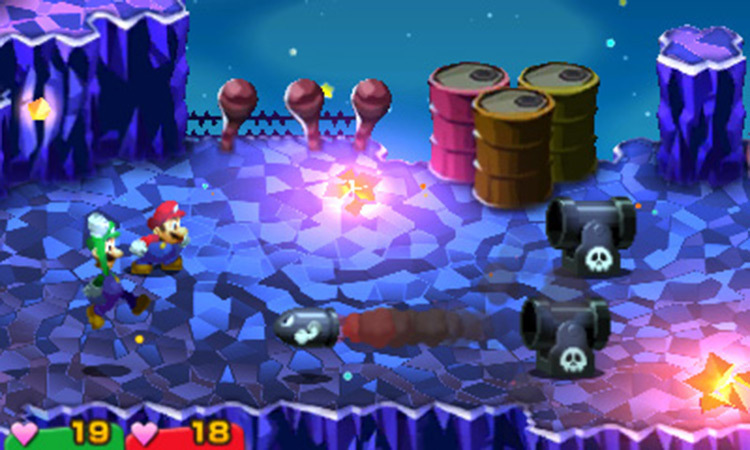 Simply put, Mario and Luigi: Superstar Saga + Bowser’s Minions is a fantastic RPG for the 3DS. For those who were not fortunate enough to experience Super Mario RPG or the original Mario and Luigi: Superstar Saga, this is a must-have. The gameplay is fun, the puzzles are simple yet interesting, and the combat reminds us older gamers of a time when turn-based combat was at its peak. As a remake, Mario & Luigi: Superstar Saga + Bowser’s Minions doesn’t disappoint and shows that the even with a new coat of paint and few tweaks that the GBA original has aged supremely well. The new features and visuals only add more to this wacky and humorous adventure and make a great RPG adventure just a little greater. If you were growing a little sour with how the Mario & Luigi series was going currently, do take some time to see why Superstar Saga is up there with some of the great RPGs made by Nintendo. When undergoing a remake of a classic game, you always run the risk of alienating fans who might dislike the changes made. Fortunately Nintendo was able to keep the heart and soul of Mario & Luigi Superstar Saga while injecting new life into it. Not only do the visuals look stunning, but with a hearty side mode that adds more context to the story, this is easily the best way to experience the game. It isn’t perfect and there are a few things I would have loved to have seen, mainly stereoscopic 3D, but this gives players a great reason to pick up their 3DS’ again. Even then, Mario & Luigi: Superstar Saga + Bowser’s Minions is a worthy remake of one of the (if not the) most memorable iterations of the entire franchise. 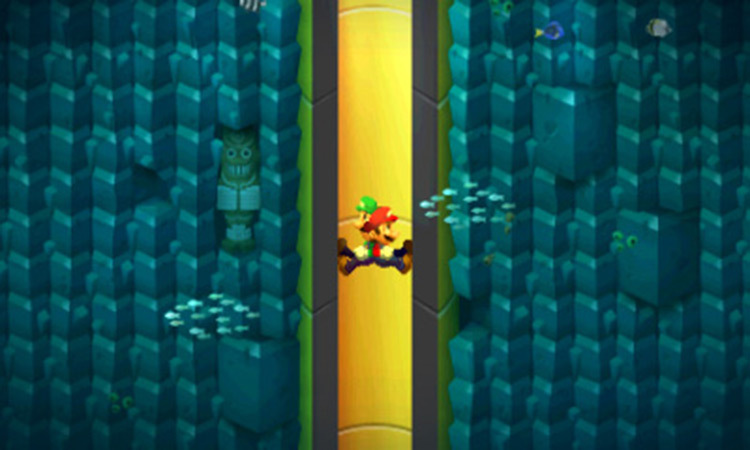 Every facet of the original has transitioned smoothly onto the newer hardware, and while the “warts and all” mentality of the combat may strike some as tiresome, the updated visuals and a wondrous retelling of various arcs of beloved characters both good and bad makes this throwback one of the more engaging titles available for Nintendo 3DS owners. 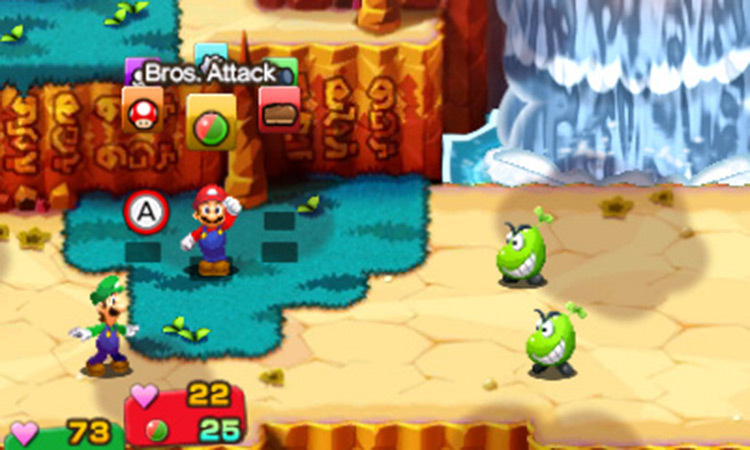 Mario & Luigi: Superstar Saga + Bowser’s Minions is a great remake that ticks all the right boxes. Not only does the original game hold up incredibly well, but there are plenty of design and mechanical changes that make the game feel fresh. Bowser’s Minions is a great addition that complements the original game nicely. This is a great starting point for the Mario & Luigi series and is wholeheartedly recommended. There are a lot of small enjoyable details that we had a lot of fun (re)discovering: the adventurous brothers' "Italian" chatter, the exaggerated and cartoonish character animations, and the odd and comical game world. Beanbean Kingdom, with its muscley matriarch and bizarre bean folk, is brimming with puns, silly names, and strange characters. 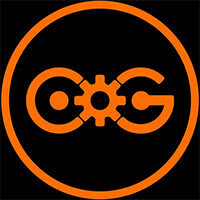 The game is as charming today as it was one-and-a-half decades ago. Given the effort expended here we can only hope that they do the same for Bowser’s Inside Story, because that truly is one of the best portable role-players ever made. Superstar Saga is no slouch though, and for those wondering whether it’s still worth hanging onto their 3DS this is another compelling reason to do exactly that. 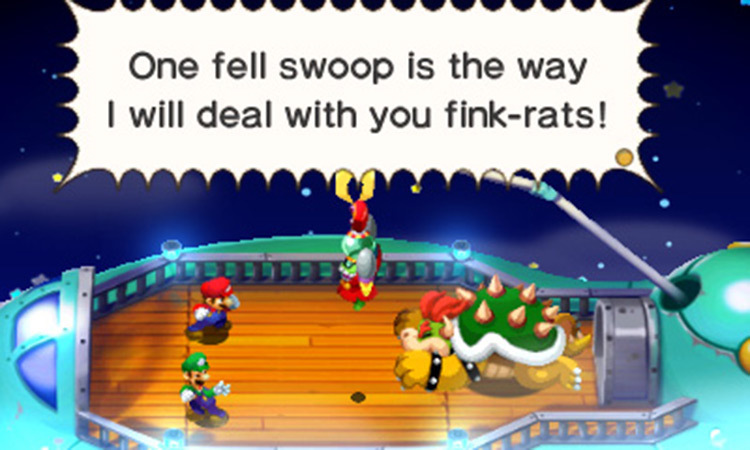 Ultimately, Mario & Luigi: Superstar Saga + Bowser’s Minions opens up a bit of a paradox. On one hand, Nintendo fans that have yet to play the game are bound to be younger and perhaps without the means to purchase as many new games. Therefore, although the 3DS version of the title is perhaps the best way to play the GBA classic, at $30 above Virtual Console price it may be worth considering the Wii U port. Those that don’t mind sinking their money into a remake should not be put off, however. 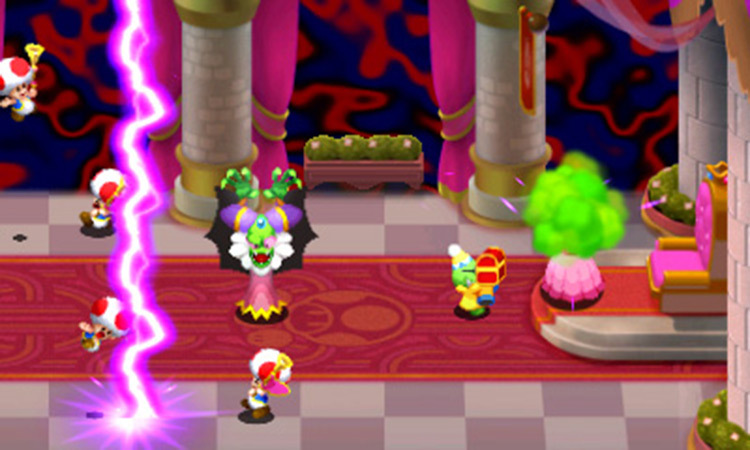 Although Bowser’s Minions falls short of adding value to the package, Superstar Saga is still an excellent Mario RPG and one that holds up very well in today’s 3DS catalog. Superstar Saga fue todo un soplo de aire fresco para el género RPG portátil. Con esta inspirada revisión recuperamos el destacado título dirigido por Yoshikiko Maekawa, con la suerte de poder disfrutar con una versión mimada hasta el extremo en su planteamiento gráfico, y dotada de algunas opciones extra (vía pantalla táctil) que hacen de su jugabilidad algo, además de igual de fresco que antaño, más dinámico y accesible para el jugador. Sin lugar a dudas una decepción todo este asunto del 3D que te comento, aunque claro, considerando que muy pocos disfrutamos de él, seguro que para la mayoría será totalmente irrelevante que Mario & Luigi: Superstar Saga + Bowser’s Minions no lo incluya. Nintendo ha adaptado de manera soberbia lo expuesto hace tantos años en la producción original de Alpha Dream para GBA en la portátil 3D. Estamos ante una aventura RPG tan accesible para cualquier tipo de usuario como rematadamente entretenida a poco que te guste el género o el universo de Mario en general. Una nueva prueba de que Nintendo 3DS, lejos de sufrir una sequía importante tras la llegada de Switch, sigue demostrando estar en un estado de forma increíble. Nintendo sabe como hacer buenos remakes y Mario & Luigi Superstar Saga + Secuaces de Bowser es un ejemplo más de ello. Con este remake del juego original, la Gran N ha conseguido que sea todo un placer volver al Reino Judía, no solo con Mario y Luigi, sino con los esbirros de Bowser en un modo que os enganchará y os dejará con ganas de más. Quienes nunca jugaron este título de la serie lo disfrutarán más que nadie y pueden comprarlo sin ningún temor. Para todos los demás es bueno saber que el remake tiene abundantes extras y cambios para darle otra oportunidad. Dans tous les domaines, Mario & Luigi : Superstar Saga + Les Sbires de Bowser est d'une efficacité redoutable. Il parvient à la fois à être drôle et attachant tout en gardant un incroyable dynamisme grâce auquel on ne tombe jamais dans l'ennui, rare pour un jeu aussi long. Entre la diversité des mini-jeu, l'humour omniprésent et les nombreuses interactions en combat, difficile de ne pas s'amuser. Visuellement refondu et très honnête pour 2017, il arrive accroché à un nouveau mode très addictif et d'une profondeur bien plus complexe qui n'y paraît de prime abord, pile ce qu'il faut pour prolonger le plaisir. Si vous comptiez refaire l'original ou si vous n'avez jamais goûté à l'aventure Superstar Saga, voilà donc un achat indispensable pour tout possesseur de Nintendo 3DS. Si les remakes font parfois grincer des dents, Mario & Luigi : Superstar Saga + Les sbires de Bowser réussit d’autant mieux sa mission qu’il reste parfaitement fidèle à l’oeuvre originale tout en lui offrant une véritable seconde jeunesse. Alors que la série Mario & Luigi a eu tendance à perdre en efficacité au fil des épisodes, elle renoue ici brillamment avec son essence et propose ici une aventure certes quasiment identique, mais rondement menée. Pour ce remake sur 3DS, le premier épisode des truculentes aventures de Mario & Luigi a été intégralement remanié, qu'il s'agisse des graphismes redessinés, de la bande-son réorchestrée ou d'une kyrielle de petites retouches, au point de donner le sentiment de redécouvrir son univers. L'écran tactile permet d'ailleurs de mieux visualiser la carte et de sélectionner alternativement les actions frères, plus simples à réaliser lors des phases de plateforme ou de combat. 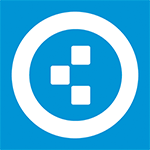 En fonction des adversaires qui vous affronteront, vous devrez alors former un groupe homogène et capable de profiter des faiblesses des adversaires. Histoire de vous compliquer quelque peu la tâche, certains personnages sont capables de combler leurs lacunes grâce à des compétences spéciales qui peuvent inverser l’issue d’un combat. Mario & Luigi: Superstar Saga + Bowser’s Minions é essencialmente o mesmo clássico amado por todos que regressa de cara lavada aos tempos modernos. 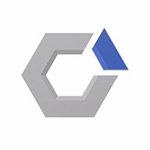 Podia eventualmente debater-se sobre a validade da sua existência como remasterização de um jogo cuja apresentação original era já de deslumbrar mas a adição da nova campanha Minion Quest deita de imediato qualquer discussão por terra. Os fãs do original ganham uma excelente desculpa para reembarcar nesta jornada, melhor aproveitada alternando frequentemente entre o antigo e o novo conteúdo e novos jogadores têm à sua disposição uma aventura que sendo já em 2003 digna de memória, toma agora novas e divertidas proporções. Mario & Luigi: Superstar Saga + Scagnozzi di Bowser si presenta, nella sua storia originale, in splendida forma dopo tutti questi anni. Un ottimo restyling grafico, ripreso da Mario & Luigi: Dream Team Bros., affianca un gameplay più fresco e arricchito di nuove mosse per i due storici fratelli. A coronare tutto, anche l'audio è rivisto e adattato rispetto alla versione originale stereo a sei canali, di cui quattro erano del Game Boy originale. A noi questo modo di pescare vecchie glorie dal passato e proporle al pubblico odierno piace un sacco, e quindi non possiamo che consigliarvi spassionatamente di dare una possibilità a Mario & Luigi Superstar Saga+ Scagnozzi di Bowser: che abbiate nove anni o una quarantina, difficilmente ve ne pentirete. Mario & Luigi: Superstar Saga + Scagnozzi di Bowser è un bel remake. È fedelissimo all'originale ma proiettato nel presente con una cosmesi nuova e nostalgica al tempo stesso e tutta una serie di agevolazioni che lo rendono attuale, accessibile e ancora più divertente di quanto già fosse. Oggi, in questa sua nuova incarnazione, rappresenta probabilmente il punto più alto della serie spin-off insieme a Viaggio al centro di Bowser che, a questo punto, ci auguriamo di rivedere presto in una nuova veste, magari anche su Switch. Heb je Mario and Luigi Superstar Saga om de een of andere reden gemist, had je geen Gameboy, was je te jong, of wil je het avontuur nog eens beleven? Dan haal je met deze remake een van de beste 3DS-games van het jaar in huis. Als je Mario & Luigi Superstar Saga veertien jaar geleden hebt gespeeld, dan krijg je met de remake precies dezelfde game, maar met een flink gemoderniseerde lik verf. De game is nog altijd humoristisch en de gameplay voelt in 2017 niet verouderd aan, waardoor het opnieuw spelen ervan zeker de moeite waard is. Mocht je nog geen ervaring hebben met de Mario & Luigi RPG’s, dan is dit de perfecte instap die op geen enkel moment te moeilijk zal zijn. De toevoeging van Bowser’s Minions is een leuk extraatje om een keer te spelen, maar het draait toch echt om de hoofdgame.